If you have ever had chickens, you may have had to trim their wing feathers to keep them from flying out of the chicken pen. Clipping wings is a good thing when done to chickens. It really is for their own good. Chickens just aren’t meant to soar like an eagle (if they try, the eagle will get them). And besides, soaring makes finding the eggs pretty hard. Psalms 8:3-9 ESV When I look at your heavens, the work of your fingers, the moon and the stars, which you have set in place, (4) what is man that you are mindful of him, and the son of man that you care for him? (5) Yet you have made him a little lower than the heavenly beings and crowned him with glory and honor. (6) You have given him dominion over the works of your hands; you have put all things under his feet, (7) all sheep and oxen, and also the beasts of the field, (8) the birds of the heavens, and the fish of the sea, whatever passes along the paths of the seas. (9) O LORD, our Lord, how majestic is your name in all the earth! Abusers however, work to keep their targets in the pen. And as most of our readers already know, they have many tactics for doing just that. One such clipping tool is a kind of economic one. Let me explain. Some years ago I was talking with a man who I believe is a Christian. For whatever reason, we were talking about the high rate of divorce, even within the Christian church. I mentioned that the economy couples face today can certainly take its toll on a marriage because so often both the husband and the wife need to work full time if they are going to have any hope at all of getting a house. And then he said this: “Yes, and when a woman starts making her own money, she can start to think pretty independently.” He didn’t say anything about the same result occurring when the man has the money. Do you see how, even in a Christian man’s thinking, the wife is seen as a person who has to have her wings clipped? That the husband dare not allow her too much freedom or…. or what? And I believe that this very sort of philosophy is very commonly embraced by Christians and it is considered to be biblical. It is not. Now, I understand completely that marriages have indeed been destroyed because either the husband or the wife decided that they have their own resources and just didn’t need their spouse anymore. They wanted to soar on their own, and all for selfish and wrong reasons. These things do happen. We start thinking that God’s design for marriage is a confining chicken pen and when our feathers grow back we are determined to sail right on out of there. But what I am primarily addressing here is what this man told me. The idea that a husband must be on guard not to allow his wife too much freedom, too much access to resources (like cash), or she just might get up on her high horse and one day announce “I’m outta here!” Of course when this thinking appears in a supposed Christian setting, clipping her wings is held by many like him to be a good thing. By the way, I also knew that this fellow had lots of money, but his wife could not access it. But this is not a good thing. There is nothing good nor biblical about it. Husbands are not called to “clip the wings” of their wives, thereby keeping them subservient and under control. Fathers are to see that their children are under control, and sometimes that means we need to clip the wings of our kids to give them a reality check — “No, Johnny, you are not going to get a motorcycle when you are 10”– that sort of thing. But a wife is not one of the children. I think that many Christian men (and perhaps even quite a few Christian women?) think she is. I would say this to any husband who really believes that his job is to clip his wife’s wings to keep her “in her place.” If you have to clip her wings to keep her in the pen of your marriage, then you have bigger problems than your wife’s quest for freedom.” Even in cases where a wife (or husband) is in fact sinfully wanting the world for selfish reasons and just wants to dump her husband and family so she can “soar” – I really doubt that enacting measures (such as taking access to money away) is going to solve the heart of the problem. We suspend the allowances of our children when necessary. But once again, a wife is not one of the children. Therefore, I take issue with the idea that is rather common within the church — that husbands must take care that their wives must be kept in place. Apparently the husband of the Proverbs 31 wife did not believe that, and he prospered as a result. Very true. The abuser, evil con man fake leader in the church group told me it was stupid for me to get my masters degree. I have a masters degree and am happily married to a good husband that is prospering because he didn’t clip my wings. Abusers are jealous of the good qualities of their significant others. Their evil jealously drives them to destroy their loved ones, even their own children. Their evil cannot be contained. The only thing they can do is manage their evil along with their fake public reputations. This is a very ironic post as just last night I watched for the first time ‘The Tenant of Wildfell Hall’, a movie about an incredibly abusive husband and his wife’s attempt at escape, based on the book written by Anne Bronte. The abusive husband used the Psalm 8 quote to justify killing animals to his very young son. The movie is very well done and brilliantly portrays how an abusive husband behaves, such as continually accusing her of wrong doing, twisting reality around, when it’s obvious he’s the one in the wrong. But to the point of your post, the story is set in the 1800’s and shows how this young mother must survive on her own financially, she’s an artist which was frowned upon for a lady to be during that time, but it’s how she earns her money and freedom. She was fortunate in that way, most women then had no trade to fall back upon. Despite this though, her wings are continually clipped in other ways, and she ends up very trapped. There is of course so much more to it, and it’s amazing that young Anne Bronte wrote it, though as governesses, she and her sisters were exposed to so much of the intimate wrongs done by abusive families, and bless them, were able to beautifully write about what they saw. Their brother Branwell was also an abusive addict and I believe much of what she wrote came from seeing his destructive behaviors as well. It’s incredible that not much has changed despite the societal freedoms women have today compared to back then, many are still trapped financially and are struggling to escape from their abusive husbands or families…I highly recommend both the movie and book. So very true Stormy. “ABUSERS ARE JEALOUS OF THE GOOD QUALITIES OF THEIR SIGNIFICANT OTHERS”. I have always felt this from the anti-husband. And he hates me because when he pulls the abuse I call him right out on the tactic he is using (praise God for putting Lundy Bancroft’s book in my hands years ago) and stand up to him. Boy, how he hates that! He loved it way back when he could manipulate my feelings and make me cry and feel worthless. Now his wicked power over me is gone, and he will never fool me as long as I live!! Yes I agree with every comment. It truly is disgusting. I always knew the abuser was jealous of me but not jealous for me. I could not wrap my head around his weird jealously —it was pathological. At the time I did not have words to describe the horror I experienced. 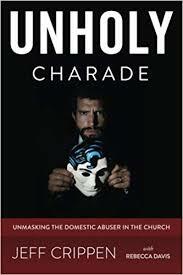 The Christian leader abuser did not have a romantic normal human desire to have exclusivity in a relationship. The church leader abuser did not experience normal human emotion from what I observed. He never had The type of heartache a normal person would feel when a partner was not committed etc. But he did have a twisted desire to destroy me. A desire to squelch all individuality. To stomp out anything that allowed me to shine. My shine threatened him. Isn’t that ridiculous! Why would any man compete with his significant other? I knew it was jealously but not romantic jealousy. It was some sort of jealousy for my humanity, for my heart, for my realness. I possessed something he didn’t. We possess things our abuser will never have. The most important thing we have that they will never have is a conscious. And a heart for God. They have to pretend to be holy for all the church folk to admire. Makes me want to vomit. Can’t wait to see justice served. Millstones for him and all his phony Christian supporters. These types of guys are even jealous of their own children. Who would be jealous of their own child? Who would be jealous of their own child? A evil narcissist! !